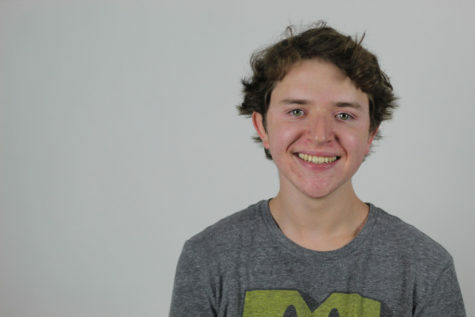 Grant Vogel will spend his senior year as a first-time staff writer with The Red Ledger. During his junior year, he wrote his first three movie reviews featured on The Red Ledger including: “A Quiet Place,” “Solo: A Star Wars Story,” and “Deadpool 2.” This year, he works as a movie reviewer for The RedLedger. His favorite films include: “Avengers: Infinity War,” “2001: A Space Odyssey,” “Dracula” (1931), and “The Star Wars Holiday Special.” He strongly stands by his belief that “Parks and Recreation” is a better TV Show than the “The Office” (U.S.) and that “Community” is better than both of them. He isn’t the biggest “Harry Potter” fan, but he prides himself in being a self-proclaimed Gryffindor displaying naive but daring behavior.